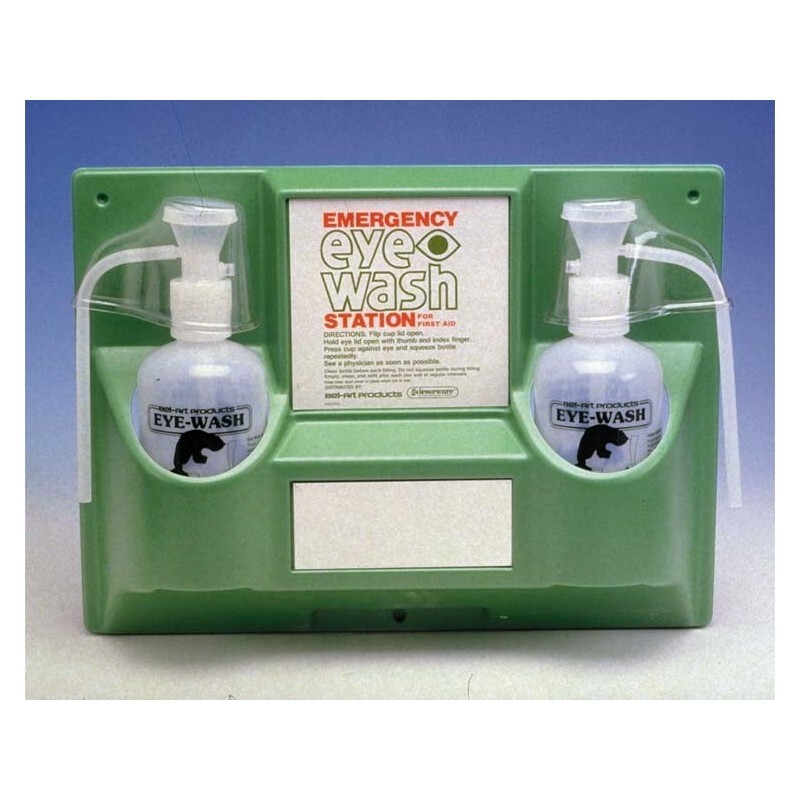 Large capacity emergency EYE FACE WASH STATION comes supplied with two, empty 32 oz high impact polyethylene bottles. To use, simply flip the cup lid open, press cup against the eye and squeeze the bottle repeatedly. A perforated spray plate in the cup center breaks up the stream to give the eye a gentle flush of solution. The gravity actuated automatic valve permits use in any position and an air vent prevents drawback of contaminated wash into the bottle. The vacuum formed board has 4 screw holes for wall attachment with a convenient mirror in front. Sold without solution. 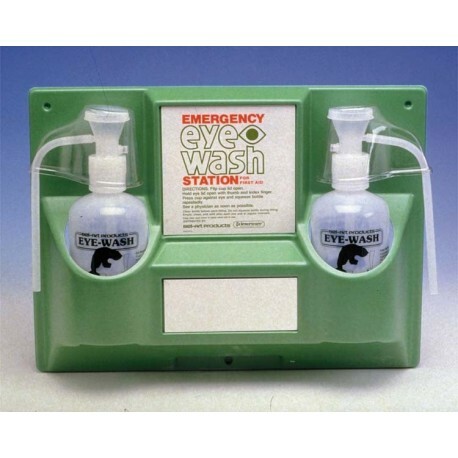 For solution, see Lavoptik Eye Wash 32 oz Refills (part #I006-004). Sold Individually.